From time to time I share with all of you some of the wonderful real life stories I get regarding the amazing benefits of pranayama, yoga and meditation. These stories and testimonials are not just a great source of inspiration and encouragement for all of us, but in addition, they validate the claims which are made regarding the benefits of these spiritual sciences. Some of the past articles where I have shared these uplifting stories include, Yoga Cures Disease, Depression, Stress & More and Benefits of Yoga Pouring In. In addition, I have created a page where you will find lots of feedback from the readers, and you can read those here – Mastery of Meditation & Yoga Reader Testimonials . Today, I will share with you testimonials that are consistent with an awakening that is happening on a global scale these days. 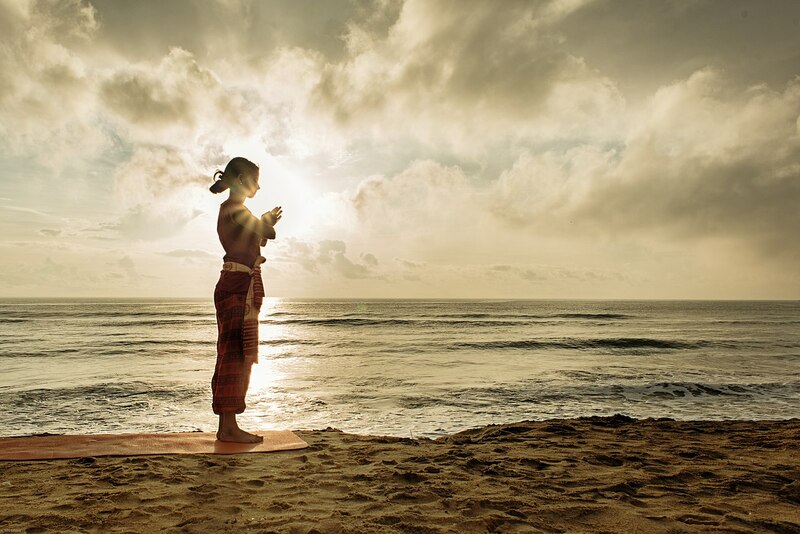 World over people are starting to realize the enormous power and benefits of pranayama. That’s right, just yogic breathing is significantly helping improve people’s health and lives, and today I will share with you real life stories of such changes and benefits. Before I jump ahead to that though, let me just give a quick list of benefits that are associated with pranayama practice. Essentially you will see that pranayamas are available to work on almost all aspects of your body, mind and spirit, and no matter what you are looking to achieve, there is a pranayama to help you do that. There are 2 sections below. Section 1 are testimonials from readers who have benefited from the pranayamas found in the Free Online Yoga Pranayama Breathing E-book (which contains the pranayama videos as well) and Free Yoga Breathing Exercises Video Series. Section 2 are testimonials from clients who have purchased and are practicing my Best Beginner’s Yoga Pranayama Video. I want to express my gratitude to you for the work you have taken on and the inspiration you are giving to people all over the world. I am just one recipient of your wonderful lessons and words of wisdom. I receive your newsletter often just as I am falling off the wagon and being in contact with you brings me back to the realisation of why I am here in the first place. May you always stay blessed. Last weekend I was involved in a car accident which resulted in my having surgery to both hands. The day before I had just read about the calming breath exercise. I can assure you that the breathing techniques you have shared with me have assisted me in coping with the undignified circumstances that I find myself in now. It has even helped with the pain management. The most remarkable thing is that I don’t feel like a victim and don’t feel sorry for myself, like I used to before, when anything bad happened to me. I find ways and means of helping myself, hence this mail typed to you, using my index finger. My yoga exercise has to be put on hold for a while as my foot is also in plaster. In the meantime I will practice breathing. I started practicing BOF on Feb 1st (tried many times before, but always got frustrated and gave up). In the beginning I could do it for 30 sec. It was hard, I would get hot and sweaty. It took me 41 days to get to 5 min. Than it became easier. I got to 11 min, and … what a difference, what a feeling! This morning during BOF, as I could feel the energy moving in my body, around my body, and on the top of my head (?! ), I did not want to stop. INCREDIBLE FEELING! I did BOF for 13 min; after I stopped (as I was sitting motionless), I still could feel the energy moving for some time. AWESOME! Raj Says: (The exercises below are primarily pranayamas, although some are an advanced form). 4. Kundalini Awakening Raja Yoga Kriya. It makes me a joyful person and not to worry about any problems. I live in a small town in India. I am meditating for the past few years. I wished to add Yoga to my routine. It took me few hours to read the instructions and watch videos from Pranayama e-book. On day 1 I did all the 9 Pranayama exercises 1-2 minutes each. The result: I felt surrounded by peace, beauty and joy. I woke up with high energy levels next morning. The instructions are precise and wonderful. Thank you for sharing this valuable information with us. It’s a great relief that you have posted such a powerful meditation (sodarshan chakra kriya), because I am a very depressed person and with very weak character. Since one week I am doing the Advanced Sodarshan Chakra Kriya everyday for 93 minutes and since I am doing this meditation I am feeling very strong physically and my character is changing. I am gaining more self-confidence, willpower and control over my emotions. Normally I do this meditation in the afternoon for 62 minutes continuously and 31 minutes in the evening. Today i was having trouble with restless thoughts and unable to get out of my head. I did the heart chakra opening yoga set you prescribed and feel so much better tonight. I also did some Kapalbhati (pranayama). Perhaps that helped also. Below are testimonials and feedback from clients you are using my Best Beginner’s Pranayama Set Video. Greetings, I have bought the beginner pranayama tools for greatness and since practicing the 5 beginner pryanama for a week, I am more at peace with myself and my surrounding. Thanks so much Anmol for the great product. I just purchased your Pranayama Video Series and find them to be an amazing source on these wonderful exercises. The above is just a small sample of the feedback I receive regarding the benefits of pranayama. There are also some amazing personal stories which readers ask me not to share on the website, but I can assure you it is quite incredible what pranayama practice has been doing for them. Recently, my parents visited friends who had devoted themselves to 1 hour of daily pranayama, and were now living examples of the transforming affects of these exercises. 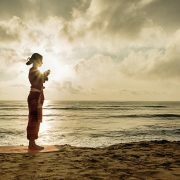 My parents came back inspired to vitalize their own practice and I hope this article inspires you to elevate your practice as well, so that you too can enjoy the amazing benefits of pranayama. My name is Hussain A Rangwala – 32 years old. I have a cartilage issue in my right knee due to an accident happened in year 2003. Now before 3 months ago, i have been feeling pain in knee. After diagonosis, it has been found that my right knee patella inner cartilage is thinned out due to an accident. Now i am going for operation of Autologous Chondrocyte implantation (ACI) for getting carilage repair on 15th June. I am very anxious about this and want to know that doing Anulom Vilom wil regenerated my cartilage or not ? Please proviude guidance in this that prnayama will again generate cartilage. My mother is 64 y old her bone marrow is unable to make tlc , hb and platelets is it curable via yoga or pranayama. I am sufferng from high blood pressure. I amd not sure if it is true. If have started the medication with avery low dosage. My BP is always normal een though I do not take any medicine for 1 week. But, I do anulom vilom since 15 years. is it true i am cured of bp. anything i am doing wrong or is there anything else i need to follow? Dear all, Although I firmly believe in the health benefits of Yoga, I have strong doubts about all the siddhis attributed to yoga practice. I would highly appreciate if anyone in the forum (including Mr.Mehta) could dispell my doubts by making me experience some of the powers you guys must have developed/attained like telepathy, remote viewing etc. I have not found a SINGLE individual possessing such powers. Please dont quote ancient yogis and people who r no more with us. Show it to me ! Hope I m not hurting anyones feelings here but truth should shine beyond doubts ! My nephew who is 5 years old has inflammatory asthma – would pranayama breathing help?? problem….. ……… Only 7 days and you will feel the diffrence. repeateadlly during the day.it reduce heat which causes nightfall. is no extra needs but you can do easily without any extra efforts. 7. )aryamaay namah ………… .mantra pray pitar arayama for …. and it is the problem of most of the youth.It would be highly appreciated and would be of great help to us if you could write an article on this topic(to prevent nightfall ). My age is 20. I am still suffering from the disease of nightfall. Usually it occurs 2 times a week sometime more than 2. This is incurring me bad health.Please help me to prevent this.I know only yoga can prevent this. I’ve been doing Sodarshan Chakra Kriya(and some other practices) for about a year now, and have felt kundalini shakti in my spine quite often. However, last week the shakti slipped up the back of my neck into my head. Then eveything happened as it was supposed to. The shakti went around my brain up to ajna chakra , and right out of the crown. Then the energy came down. My head was encased in a helmet of energy which came down in what I perceived as droplets of light. This was acompanied by strong but not unpleasant heat. This was an extrodinary and life changing event. Now I have shakti in my head all the time and often feel it exit the crown outside of yoga practice. Now I can rise the shakti with just the use of mantra. This event was preceded by several dreams of snakes and goddesses. So thank you Anmol for helping me start on this wonderful journey!